Yesss, I already got January 2014 monthly special polish from E-Nail! It seems like I am promoting E-Nail every time, but I am really in love with this brand. Don't worry, they didn't pay me to advertise at all lol. This is E-Nail monthly special of January 2014, called Fur. It does not look like fur to me at all. I was expecting something red for this month's special *sigh*. Now I may need to go purchase a red color for Chinese New Year. I already struggle with the red during the Christmas. 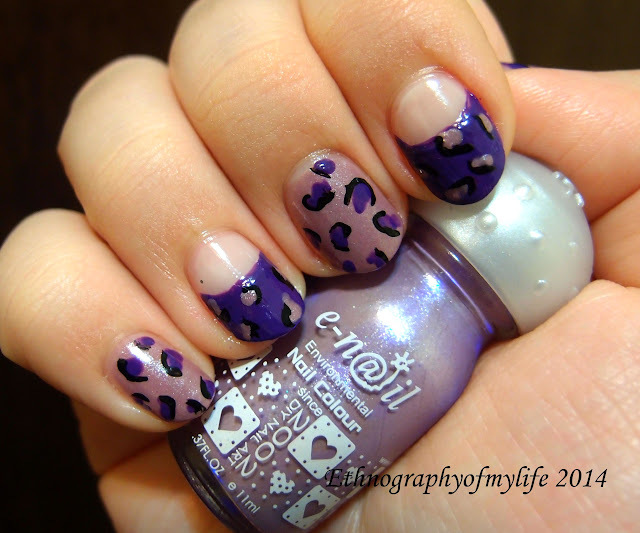 I coupled it with Dream Lover and Ice Cream to create a simple leopard print look.